The Lightning-Struck Heart was often compared to The Princess Bride (but more gay), and it was that. A Destiny of Dragons, though, reminded me a lot more of The Lord of the Rings, but funnier, and, to me, anyway, more down to earth. While this series is, at least so far, Sam's Hero's Journey (it's capitalized, so you know it's a thing), the story doesn't take itself too too seriously. And I loved it. TJ, TJ, TJ..you need to write faster! A Destiny of Dragons is delightful. And ridiculous. And wonderful. In all the best of ways. Sam, Ryan, Gary, Tiggy and Kevin are more than the best of friends. They're family. They're like the Fellowship of the Ring, without a ring, volcanoes and that creepy evil eye. But they don't need those things. They have a quest of their own -- a destiny, if you will. And Sam hates it. He doesn't feel ready to do something so important. For the fate of the whole world to be in his hands. What's a young wizard (apprentice) to do? Sam is impulsive and has an amazing sense of adventure -- when it is his choice. He doesn't like to think in terms of 'destiny' and 'fate'. Like The Lightning-Struck Heart, the banter is so wonderfully over the top. I think I highlighted half the book. And I laughed and was sometimes sad, but mostly not. I do have a feeling, though, that we're in for some serious tears in one or both of the next two books. Just...a feeling. Sam can be so ridiculous in his lack of planning and foresight that it's a wonder he has managed to survive to adulthood. And the mouth on that boy could make a sailor blush, though he could use some tutoring in 'dirty-talk'. And I melted a little. But nothing is ever easy, is it? Sam and Ryan? Oh, they're solid. TJ, as promised, did not muck with their HEA. Even still, though, there was enough reality to make my heart clench, at times, and when I would find myself holding my breath, I'd have to remind myself just to breathe. Just breathe. So, what's A Destiny of Dragons about? It's about adventure. Dragons. Gypsies (along with a little bit of bad touch). Ancient prophecies. Faith. Love. Friendship. Family. Because what good is it to save the world, if you don't have the ones you love with you when you do it? I would also be remiss if I didn't mention monologuing villains and hilarious references to Trump. Because this is TJ Klune, after all. 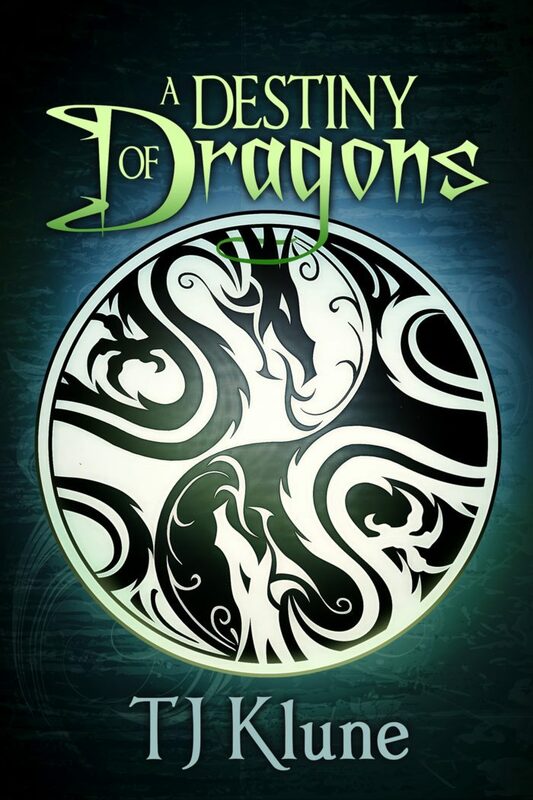 A Destiny of Dragons does end on a touch of a cliffie, but it wasn't brutal (thank FSM for that!). The story is obviously not finished, though, and I can't wait until we have more. And, Sam, you should tell them. ARC of A Destiny of Dragons was generously provided by the publisher, in exchange for an honest review.